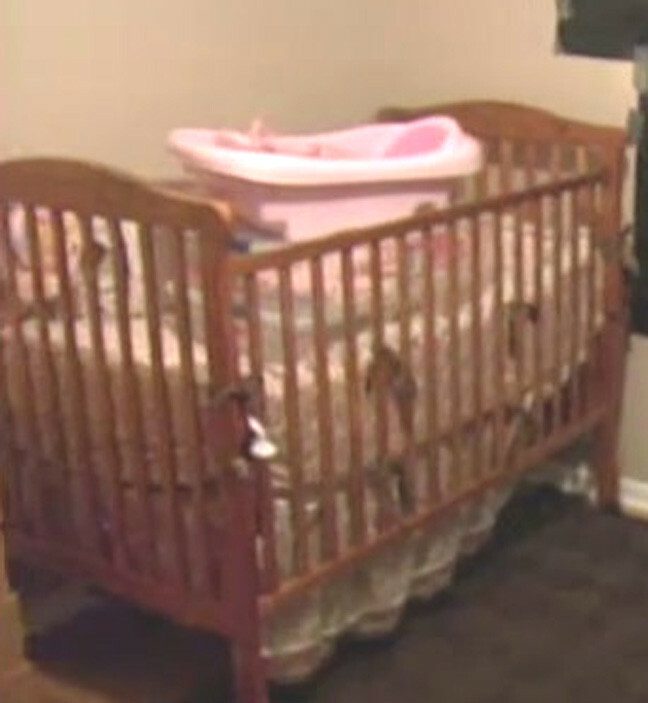 Does 10 month old baby Lisa mattress in the crib look a little strange? Mattress is High for a 10 month baby and wide for the crib ..
i have MDed for over 35yrs,and something about LE using a MD bugs me. 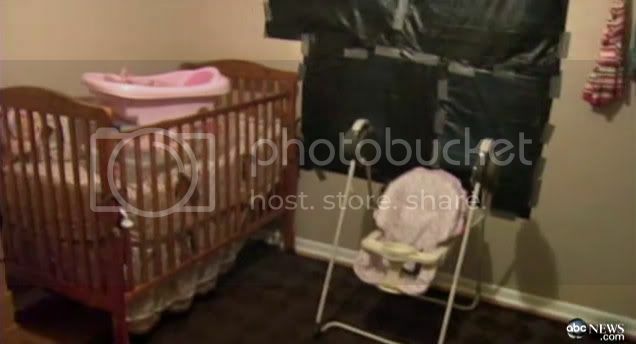 I also noticed the black taping around the crib .. Same height of the mattress.. I think that we need to find out Deb's brothers name and more about him...just in case that call at 2:30 a.m. was to him. Has that information been posted yet? OK, thanks KittyMom...I was thinking that David Lee Netz, Jr. is who posted on FB mentioning that a Tony was the brother...I just didn't know if Tony had the same last name of Bradley. What do you think David or Tony? I am still catching up but I see that you found the answer to who Debbie's father is. After looking at his facebook, he appears to be a decent man. He has photos of all the grandchildren and seems to be very proud of his family. He also posted on someones page how much he loved being a Grandfather. My heart breaks for the extended family. Debbie has a facebook too, but she has shut it down tight. I don't know what thought is scarier.....the parents being responsible or an actual intruder taking baby Lisa. I pray for answers and justice for little Lisa regardless of who is guilty. 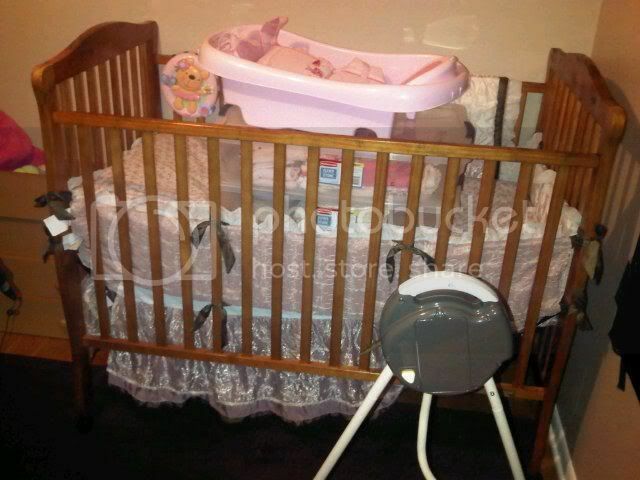 where is the black taping on crib? In the front there, looks like two strips? I'm blind! Now I'm going to go neurotic.....if my sweet baby had been snatched from her crib and had been gone for days....that babybed would be pristine, arranged perfectly waiting for the glorious moment she returned home. this bed is a storage place in the pic . I'm weird that way. these pictures of the room are after LE? what strikes me is that LE did not strip the bed and instead have further allowed it to be contaminated with storage boxes? and the tape I think being referred to our bows in the video. The black tape is showing the width of the mattress.. I wonder if the original crib mattress was replaced to this one..
Crib, bumper pad, looks like a ruffle under the mattress that is askew or tucked up on one side. I don't understand putting the carrier inside the bed. Somehow just doesn't seem right. I did look at them a couple of days ago at the case net site another smart monkey posted. He is about 20 years old and other than a moving violation he is clean as a whistle. Also note that there are 5 generations, baby Lisa, Debbie, Debbie's father David, David's Mother and David's Grandmother. Debbie is only about 27 years old if I remember right. I also believe Debbie's maiden name is Nast. The Bradley name (from what I read) is from a prior marriage. I wonder if they pulled the whole mattress out to look under? than just stuffed it all back in there during a initial search? OK Klaas.. But I am keeping that image in my head of the height of the mattress and width with of that mattress..
House is cleaned and decorated and ... Turkey stuffed. I'll be up early in the morning preparing vegies. I am feeling a sad. Son and family from the Island will not be able to make it. DIL and my baby grandaughter are down with rotten colds. Anyways ... I was hoping that there would be solution to this case today ... maybe tomorrow. Where is baby Lisa? Thanks cartfly...it doesn't seem to fit for me for some reason...calling brother in to get rid of the baby or something. Just seems to go against lifestyle or something...I guess I really don't know a lot about him though. He lives (if the address is still the same) approximately 13 miles from her from what I found.